Our Mississippi genealogists are available to research on location. They will find and analyze the best records available to further your family history research. They can search the archives and libraries in Mississippi, as well as help you with other special requests. Our researchers are available to visit local archives and libraries to access unique record collections to help with your research. Below is a list of a few of the archives our Mississippi researchers have access to. The Mississippi Department of Archives and History is known as one of the best genealogical sources for information on Mississippi ancestors and stretches back several centuries from the early colonial period to more recent times. Their holdings contain over 60,000 cubic feet of records. They have government documents, maps, and oral histories. They also hold more than 2,150 collections of family histories, as well as manuscripts and original records for every county in the state. The Mitchell Memorial Library at Mississippi State University contains 82,000 items in their archives. Some of these texts specifically focus on the history of Mississippi State University (MSU), and contain records dated from the 1800s. These include records on athletes, departments, student publications, and photographs. There are also records of past college presidents. The Mississippi Genealogical Society was founded on August 25, 1945. The society holds family, school, church, county, and state records. They also hold information from cemetery and bible records. 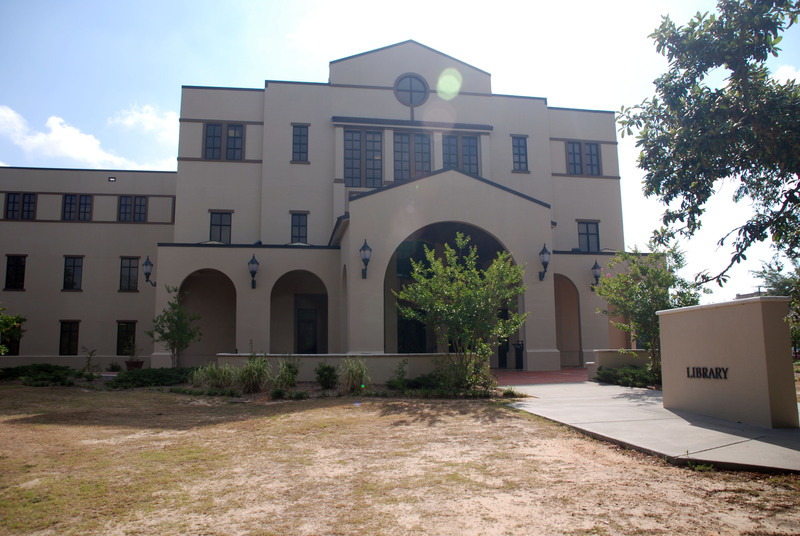 The McCain Library and Archives at the University of Southern Mississippi is devoted to preserving the history and culture of the state, especially through their historical manuscript collection. These manuscripts cover events such as the Civil Rights Movement in the 1960s and the American Civil War. Papers from politicians and information on the railroad industry are held here. Their records date back to the 1500s, with many focused on the central and southern areas of Mississippi. The Evans Memorial Library focuses on genealogical records of the “Deep South” of the United States and therefore covers information on more than just the state of Mississippi. The library is one of the largest genealogical repositories in the South. They have oral histories, church records, newspapers, maps, and military records from Mississippi and Alabama. They also have information on the Chickasaw Native Americans and the African Americans of the region. The McCardle Research Library, managed by the Old Warren County Court House Museum, focuses on the genealogy of early settlers of the region. Their archives contain more than 1,400 donated local history items, as well as histories of the Warren County families. They also hold records and manuscripts from the American Civil War. The J.D. Williams Library of the University of Mississippi’s Main Special Collections area holds more than 69,000 rare books, and each of these texts focuses on Mississippi. They collect books by Mississippi authors, books on the state and history of Mississippi, and books related to the history of the University of Mississippi. They also have over 800 manuscripts that focus on the American Civil War, the Civil Rights Movement, and family histories. There are other excellent resources for genealogical research of Mississippi ancestors located in archives outside of Mississippi. We have genealogists working all over the country and they will be able to investigate these archives for information about your ancestors as well. Below is short list of a few archives outside the state of Mississippi which our researchers can visit. The Briscoe Center for American History at the University of Texas in Austin is as large as the official Texas State Archives. Their collection includes newspapers, biographies, and donations from private collections that focus on the history of the South as well as military history. This includes the Natchez Trace Collection, which totals more than 450 feet of archival material and focuses on the history of the Lower Mississippi Valley. Their information dates from 1760 to 1920, and this particular collection contains family papers, legal records, maps, diaries, and newspapers. The Dallas Public Central Library holds 111,700 volumes, 64,500 microfilms, 89,000 microfiche, and over 700 maps in their archives. These records contain information on Texas, Oklahoma, Mississippi, and Louisiana, as well as the New England and Mid-Atlantic areas of the United States. They also hold records of the Black Biographical Dictionaries Project (1790-1950), which details information about African American citizens from a variety of sources throughout the South. The Mobile Municipal Archives contains records of the earliest settlers of the Southern United States. Records from Louisiana, Mississippi, Alabama, and Florida colonists are held here, with a focus on records from the period of Spanish settlement. There is information on French colonists at the archive. Our Mississippi genealogists specialize in researching several types of documentation and are not limited to the list above. For more information or specific inquiries about our genealogists, please feel free to contact us.